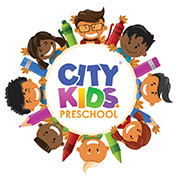 City Kids Preschool is dedicated to creating a loving environment where every child in our care experiences tangible love and affection on a daily basis. Children thrive and do well when they know that they are loved, accepted and encouraged to try. We accept babies from 3 months through to preschool children through grade R.
In a nutshell we can confidently say, "Jesus loves the little children and so do we!" Developed by LMK Digital Holdings Powered by WordPress.